A really bad week with no attacking returns other than an Alonso KC. The call to get Mitrovic for Mendy rather than Laporte or Trippier has been fairly costly over the 3 weeks and no Hazard is damaging my rank too. 3 clean sheets somewhat salvaged it but the ranking took a big hit. I did a cardinal sin and swapped Van Aanholt for Alexander Arnold in the morning, knowing I was out and unable to check the teams later on. I wanted a defensive double up for their fixture run and Liverpool play before Palace next gameweek so was the best day to do it. Plus Crystal Palace’s fixtures turn quite bad now so not expecting clean sheets anytime soon. If I had seen Mendy starting I may have brought him in instead and swapped De Gea for Allison next week. I looked at ways of getting Hazard in for Zaha but just couldn’t see a way I liked. Hazard plays first vs Man United next week so I’m not in a rush for now, even though there is every chance he could score on current form and United’s defensive form. Plans for this week are a possible GK swap to Ederson after United play, but I may just leave the transfers alone. 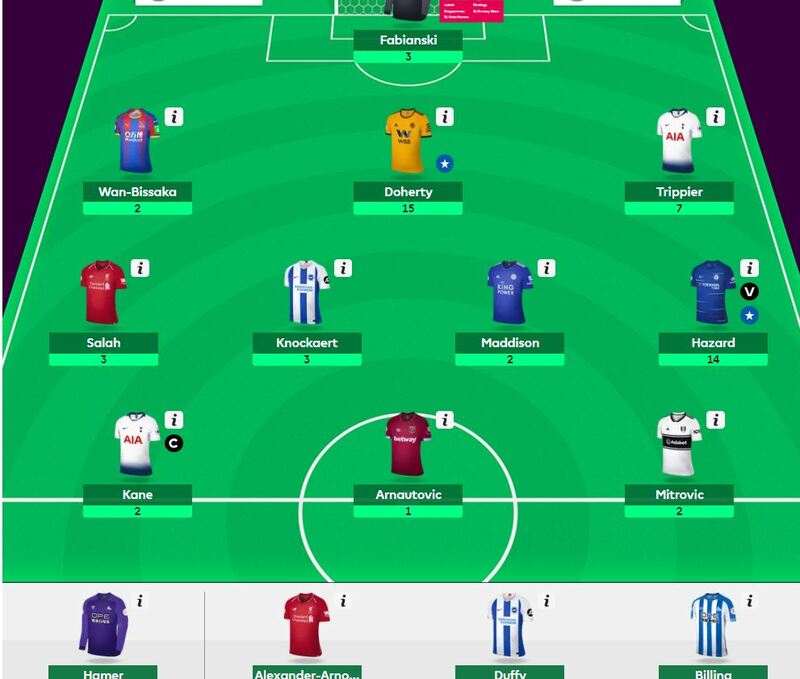 So I played my wildcard this gameweek. This was to get Kane in for his prime Cardiff fixture with no hit (I had no real captain option this week), as well as get in Hazard and get rid of some underperformers e.g. Firminho, Walcott and King. It was also a chance to freshen up the squad and get some more assured starters on my bench. I won’t bore you with the detail behind each player I picked. Of course, Kane blanked and King scored 2 and the irony of Hazard’s haul to slightly balance it out is that, because he wasn’t captain, it hindered my rank rather than helped it. I’m not a huge captain fan to be honest and not wanting a player you brought in to haul is one reason. TAA not starting was also not ideal considering I downgraded Robertson to get him but I’m hoping he is back for Liverpool’s run of good fixtures. If I hadn’t wildcarded then I’d have probably done Firmino to Arnautovic and begrudgingly captained Salah. 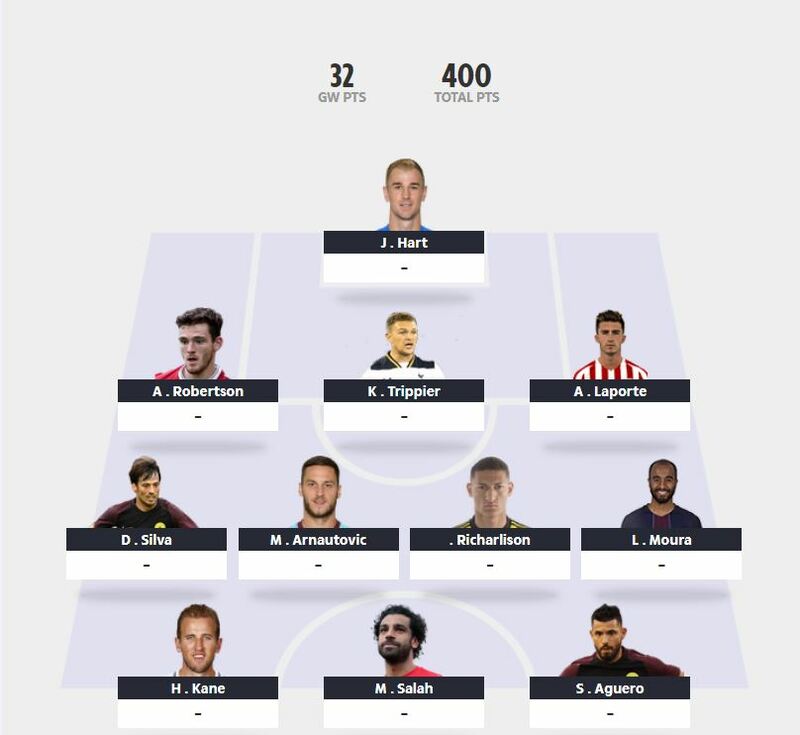 So my wildcard team did 1 point less than this team would have. Not great but I’m happier with Hazard, Arnautovic etc in my squad and it wasn’t as costly as I originally thought after getting rid of King, Alonso and Robertson. Looking forward, I am now unsure what to do with Kane. I don’t think West Ham is a bad fixture but Kane playing deep is really hindering him as an asset. The straight swap back to Aguero is likely but given he keeps getting only 60 minutes or so it’s not a clear cut decision. 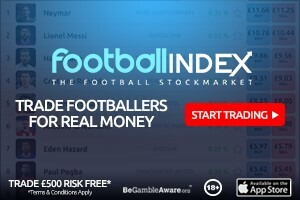 Lacazette is also an option on his current form but I’m not sure on the longevity of his returns. A drop in rank of around 8k though I thought it’d be worse. Like other formats, only the defence performed this week with one goal from Richarlison. I took Aubameyang out for Kane, which in hindsight was a bit silly given Arsenal were playing Fulham. Moura is on borrowed time for me and I also don’t have Hazard which is burning me despite him not playing the Europa games. I may also look to double up on Liverpool defence too but with only one transfer for the month left, I’ll need to work out how best to use it. “because he wasn’t captain, it hindered my rank rather than helped it” – you could be right but might you not have been worse off without him altogther? I had the same situation but I satisfied myself that it would’ve been far worse had I not brought him in. Yes, you are correct. I think what I meant was that if he had blanked then my rank would have been better, which I always think seems wrong to want. Certainly glad I got him in. 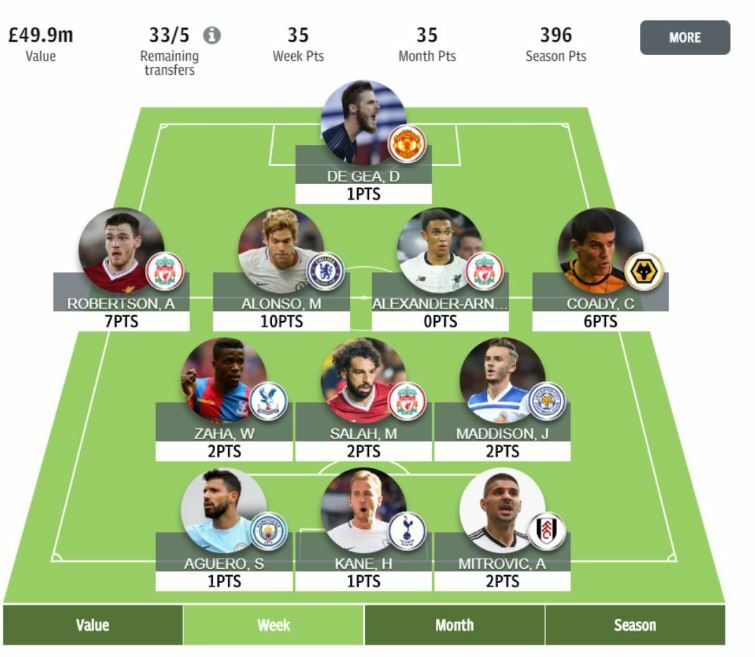 Made my wildcard look a bit better after King hauled.